Hi all! 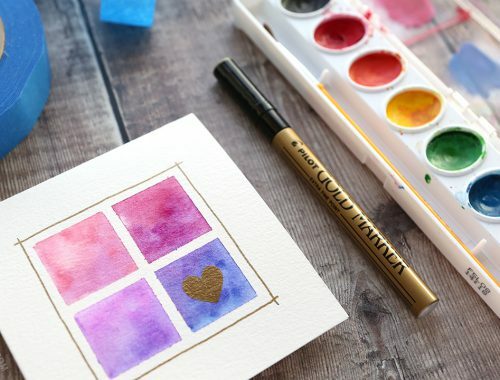 I have some card kit inspiration using the January 2018 card kit for you all! I know Christmas hasn’t quite come yet, but as cardmakers our Christmas cards are in the mail (hopefully!) and we’re now looking toward the next big card holiday–Valentine’s Day! 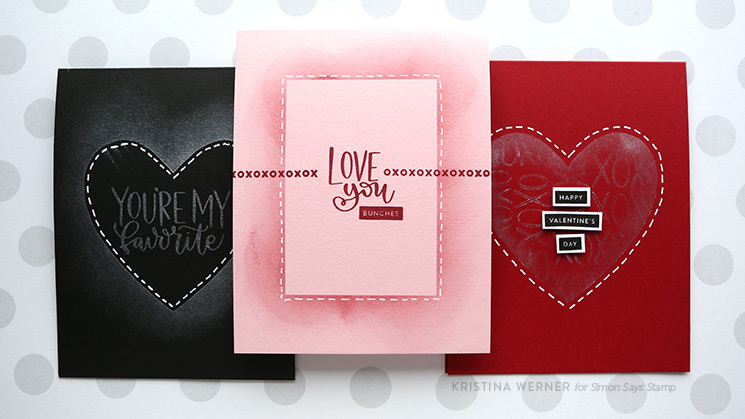 The January 2018 card kit is perfect for some fun, easy one-layer cards. 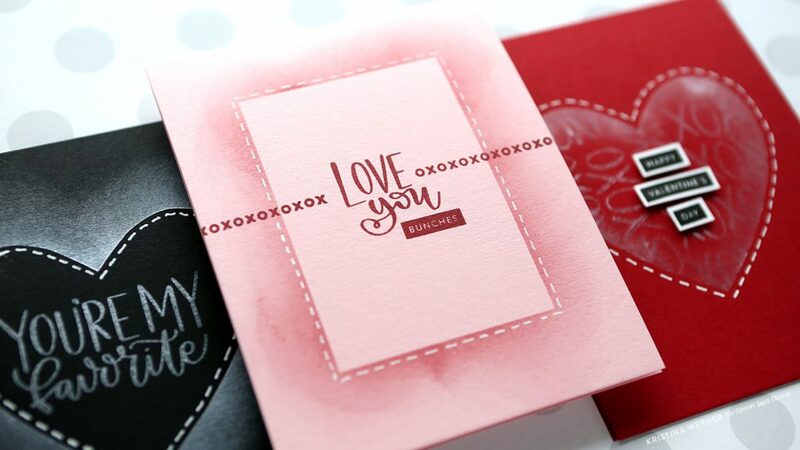 I created three simple cards using stamping and blending, and the new Really Like You stamp set (available in the kit, or separately as well). 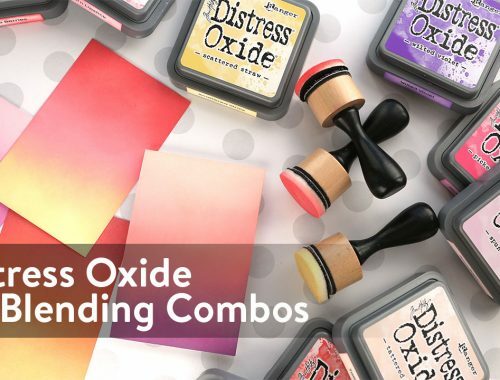 The Pink Shimmer Delicata ink in the kit in perfect for this since it’s a pigment ink and shows up on darker surfaces. To create a heart mask, I folded a piece of masking paper in half and cut out half of a heart shape. Once unfolded, it created the perfectly symmetrical heart mask. I used this heart mask for blending off the heart shape on the black card, and for stamping and blending within the heart shape on the red card. On the pink card, I did simple stamping with Schoolhouse Red ink, and then placed a rectangle mask over the stamping area. I blended more red ink off the edges of the mask. Once peeled away, the masked area created a faux-layer effect. I hope you enjoyed today’s cards! You can pick up the card kit HERE, or subscribe to have the kit and future kits automatically shipped to you.